Alba Nox is a transmedia artistic collective that questions the sensitivity and intimacy be linked to technology. Alba Nox collective is composed of 3 artists: Jacques-André Dupont, Sophie Griffon and Oilhack. Jacques-André Dupont is a transmedia artist navigating the new media and performance fields. He uses projection mapping and performance to build bridges between distant disciplines and concepts. His academic path in media studies, special effects for cinema and contemporary dance in Berlin brought him to develop a peculiar reflection on the body and technology. 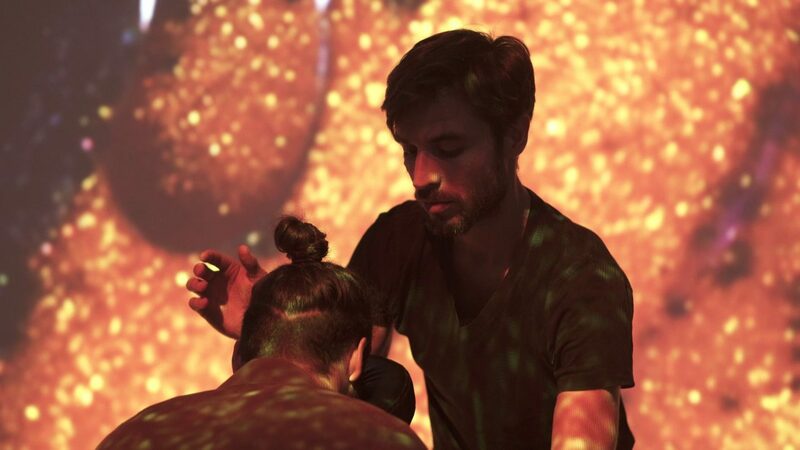 In response to the ambient hypervisuality and technocults, he develops an artistic language dedicated to the tactile sense: Touch Choreography. This new artistic medium manifests in a formal research about the creative and perceptive potential of interpersonal touch, outside any normalized form of social interaction (care, sports, intimacy, wellness…). In 2014 he composed MIM – The Medium Is the Massage, his first Touch Choreography shown in different contemporary dance and new media festivals. 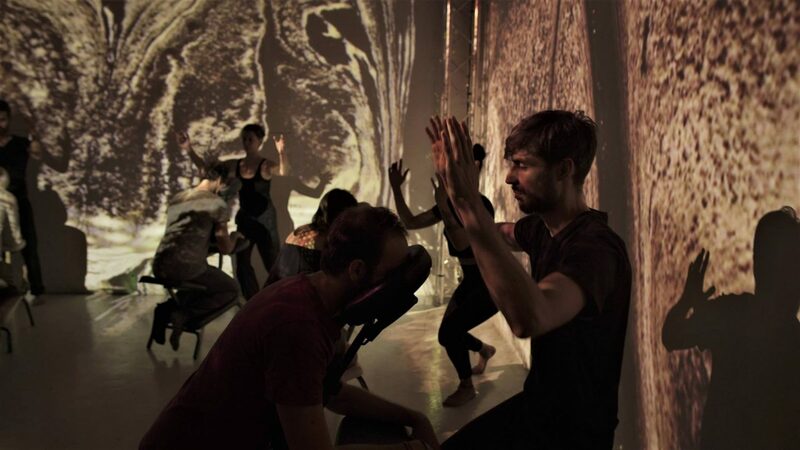 In 2018 he composed INTERSTITIUM in association with Sophie Griffon, Oilhack and 4 dancers. For Interstitium he improvises live with his fluid paintings. 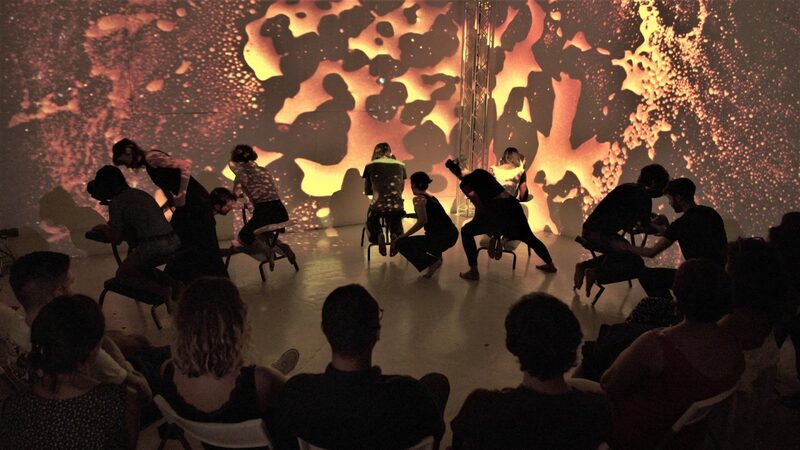 The scene is captured and projected onto the performative environment. Sophie Griffon develops her research around the field of the emotion. Creator of an ambient music tainted with techno, she works by mixing recorded organic sounds, sound design and synthesis. Her approach focuses on immersion and sensoriality, she works on making the sound become tactile and the light become sound. She collaborates with choreographers, illustrators and digital artists. She is studying a degree in Music Studies with the aim of becoming a teacher in computer-generated music and is an active member of «Le Séquenceur», an organisation proposing pedagogic activities around electronic music. Her music for INTERSTITIUM mingles concrete sources with modular synthesis. 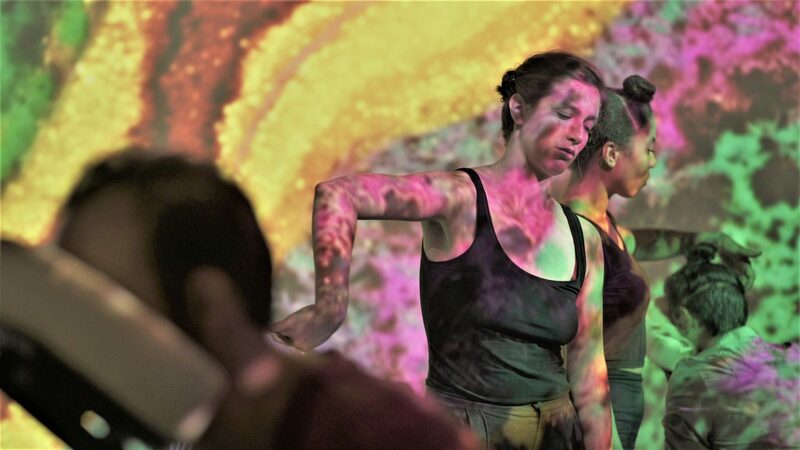 She accompanies the sensorial journey live, inspired by the public and the performers’ moves. Trailer Interstitium from Jacques-André Dupont on Vimeo.